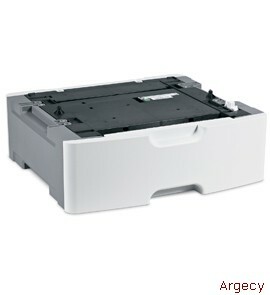 Looking for IBM Infoprint 1811 Parts? 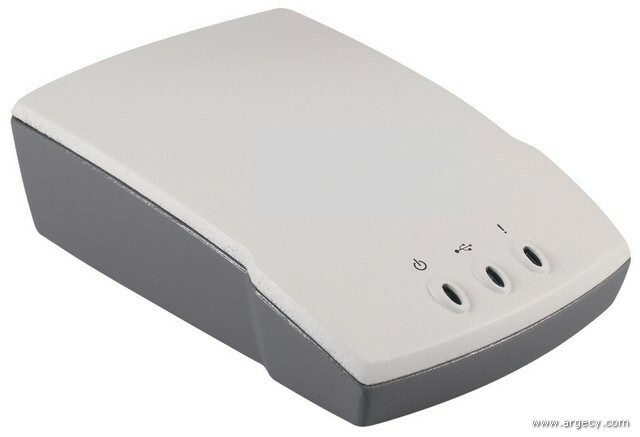 The 4549 InfoPrint 1811 Model D01 has 32 MB standard memory, 288 MB maximum memory, parallel & USB standard, 400 MHz processor, and duplex standard. These monochrome laser printers offer faster printing of up to 40 pages per minute (ppm)(1) on letter media and up to 38 ppm(1) on A4 media. All models include one 250-sheet drawer and a 50-sheet multipurpose feeder (MPF) for a total input capacity of 300 sheets standard. One optional 250-sheet drawer or optional 550-sheet drawer is supported for a maximum input capacity of 850-sheets. Duplex capability is standard on all models. 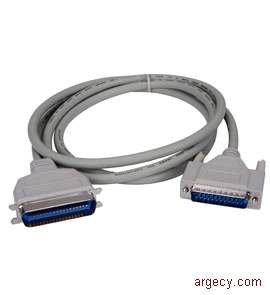 The InfoPrint 1811 models do not include internal Ethernet. External networking features are available for� the InfoPrint 1811. The maximum monthly usage for the InfoPrint 1811 is 80,000 impressions. InfoPrint Solutions Company does not recommend printing to the monthly maximum on a consistent basis. All models have one slot for additional SDRAM memory. Memory options for the printer include 128 MB or 256 MB memory DIMMs. 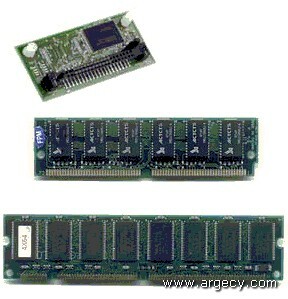 All models have only one slot available for either the 64 MB flash memory option, or a DBCS font card option. Note: (2) 1200 Image Quality defined as 600 dpi with 2 bit IET technology default mode for all models. Note: (3) 2400 Image Quality defined as 600 dpi with 2 bit IET technology. Note: (4) True 1200 dpi at one half rated speed. The Toner Darkness setting offers 10 user-selectable settings to balance print darkness and toner savings. The higher the setting, the darker the print (that is, "1" is the lightest). The printers ship with a default setting of 8. From level 8 to level 1 offers up to 50% toner savings, thus reducing the cost of printing. Note: (5) These (5) additional fonts are OCR-A, OCR-B, and (3) Code 3 of 9 barcode fonts with different aspect ratios. These fonts are only available in PCL 5. The fonts in the PCL emulation are compatible with the fonts in the HP LaserJet 1320; nine additional fonts and many extra languages and applications. The fonts in the PostScript emulation are compatible with 69 of the 136 fonts in Adobe PostScript 3 and include 20 additional fonts. The time to first print are shown in the following table. The printable area is limited to within 4.0 mm (0.158 in.) of top, bottom, left or right edges of the media. Any information placed outside this specified printable area will not print. Labels should be selected using guidelines found in the User's Reference, Complete Printer Reference, or the Cardstock and Label Guide and tested for acceptability. Paper labels are supported for occasional use only. VINYL AND POLYESTER LABELS ARE NOT SUPPORTED. 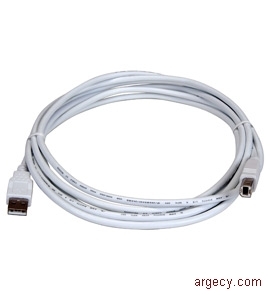 Two-line 128 x 32 pixel LCD backlit gray scale display supports two lines of 16 characters per line maximum. The DBCS op panel has a built-in font which allows it to display roughly 8,000 Asian characters in a 16 x 16 pixel format. Two lines of 16 asian characters each can be displayed on the DBCS op panel. The printers comply with the global safety standard for Information Technology Equipment, IEC 60950, and its country equivalents in the markets we serve. The following sections highlight the approvals and certifications that the printer is expected to receive. This Install utility provides a very powerful method to install or uninstall printer software in Windows 2000, Windows XP, Windows Server 2003, Windows Vista and Windows Server 2008 environments. Through the use of the Script Install utility, System Administrators can easily perform mass rollouts of InfoPrint Solutions Company printers by creating custom scripts to perform local or remote printer software installations on end user workstations. When combined with the Driver Profiler utility, I/T shops can centrally create and deploy custom printing environments for each remote location. Together, these utilities drastically reduce the time required to install printer software in a distributed environment. The printers are compatible with applications running under the following operating systems for either local or network connections: For information about USB connections, see Local Connections. Note: (11) Citrix and MetaFrame are registered trademarks of Citrix Systems, Inc. MetaFrame XP is a trademark of Citrix Systems Inc. Note: (1) Measured with input and exit tray extensions in collapsed positions. 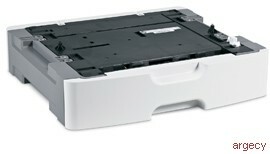 Note: (2) Printer weight includes the print cartridge that ships with printer. Note: (3) Measured with paper size set to letter. Note: (4) Total height of all printers installed on an optional drawer is 1.5 mm (0.1 in); shorter than the combined height of the individual items due to the interlocking fit of the printer and drawer. Note: (5) Combined weight is based on the heaviest model. The following table specifies nominal average power requirements for the base printer configuration. Note: (6) No prominent discrete tones per ISO 7779-1988 Annex D.
The printers have one slot for additional memory DIMMs and one slot for an optional flash memory or font card. This feature plugs into the one application solution slot. The printers support USB 2.0 high speed.